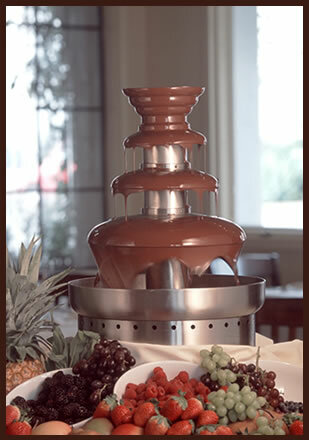 The Chocolate Fondue is a revolutionary new way to serve chocolate, and it creates a memorable experience for your special day. 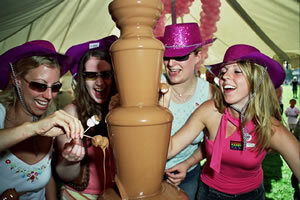 The aroma of the finest Belgium chocolate will fill the air and entice everyone to create their own fantasy fondue. 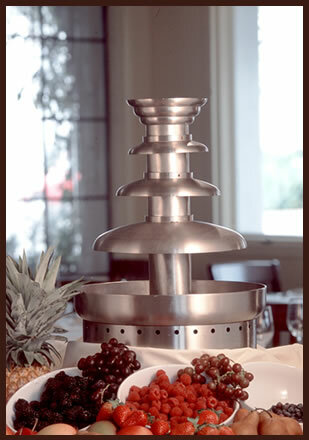 The original concept of The Chocolate Fondue has been refined. 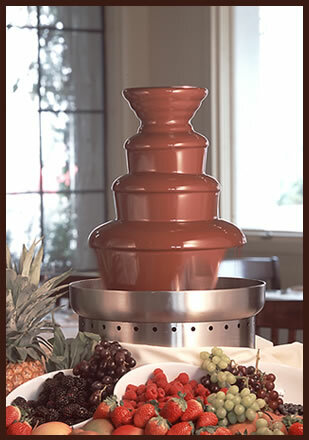 We offer the latest Chocolate fondue on the market with highly polished food grade stainless steel, a much more attractive fondue! Traditional food items can be dipped into the chocolate with the aid of bamboo sticks. We include exotic fruits, marshmallow, profiteroles, biscotti, mini doughnuts and other sweets. To find out more call 07005 964 293 or e mail for a quote.